THE album for this summer!! This is no ordinary album release from an ordinary artist. Levi has a unique story which many already know, but he also has a rich pedigree in music which many don’t know about, and its this combination that gives him the ability and justification to record and release this exciting new project. 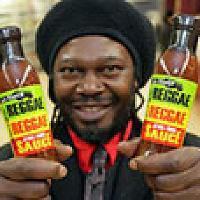 Charismatic Sauce-man and Entrepreneur, Levi Roots first shot to fame on BBC2’s Dragon’s Den in 2007, when defying the odds with his spirited Reggae Reggae Sauce song, he charmed dragons Peter Jones and Richard Farleigh into investment in his tangy homemade Reggae Reggae Sauce. With a speedy launch at Sainsbury’s only a few weeks later, the sauce flew off the shelves, outselling even Heinz Tomato Ketchup and it’s been a whirlwind ever since. As well as his wide range of food, sauce and soft drinks products, Levi has released a 6 cookbooks and a business book. Levi’s sixth and most recent book, Grill it with Levi, is a collection of his BBQ recipes and was released by Ebury in May 2013. His other cookbooks include Sweet (July 2012), Spice It Up (July 2009), and 3 further top-selling cook books: The Reggae Reggae Cook Book, Caribbean Food Made Easy and Food with Friends. His business book, You Can Get It If You Really Want, was released in 2011. 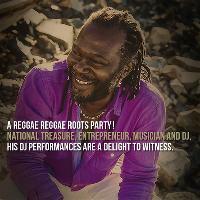 The Levi Roots Brand continues to blaze a trail while Levi’s warm and infectious ethos of Caribbean Sunshine continues to put music into food, and life everywhere across the nation.